Get to know the 2019 Lexus NX. Blending daring style, intuitive technology, exquisite craftsmanship, and available with a choice of turbo or hybrid powertrains - NX stands out in any crowd. Equipped with more advanced features than ever, including Lexus Enform and Lexus Safety System. Lexus’ first-ever 2.0 Litre 4-Cylinder direct injection Turbo-charged engine, gives you unexpected fuel efficiency with unflinching performance. It is a world-first combination of a water-cooled cylinder head, integrated exhaust manifold and twin scroll turbo-charger, and equipped with advanced technologies including variable valve timing-intelligent (VVT-i). The results are undeniable. A luxury compact SUV with the beating heart of a sports car. Lexus NX features a series of advanced systems to enhance your confidence and control under a variety of conditions. All wheel drive (AWD) with dynamic torque control detects and helps prevent wheel spin. Traction control (TRAC) increases grip when accelerating on slippery surfaces. Vehicle stability control (VSC) works to correct over- and under-steering. Hill start assist control (HAC) prevents your NX from roll back when starting on a steep hill. Lexus Enform delivers thoughtful connectivity and peace of mind technology, in one simple to use package. Enform App Suite 2.0 puts your favorite apps at your fingertips, and lets you bring your music along for the ride. Scout GPS link cell based navigation helps you find your way. And with Enform Safety Connect emergency assistance is just the press of a button away. 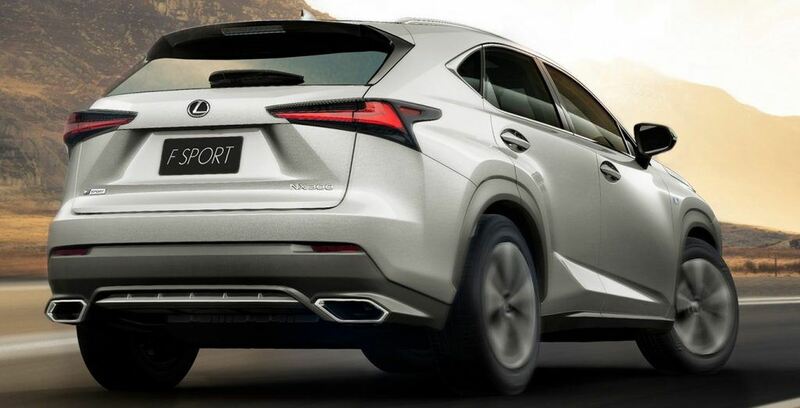 Enform is standard on all 2019 Lexus NX models, with additional features, such as Destination Assist and embedded Lexus navigation available on some packages. Lexus NX is as luxurious on the inside as it is bold on the outside. Seats are cloaked in soft, durable NuLuxe, while the heated steering wheel and shift knob are wrapped in hand-selected leather. Relax in the rich warmth of new interior colours including Rioja Red and Glazed Caramel, or choose a more stirring hue, like Circuit Red on F SPORT models. Lexus craftsmanship is in evident in every stitch and in available finishes like Shimamoku woodgrain trim. Stop into Taylor Lexus today to experience the nimble and luxury feel of the 2019 NX.